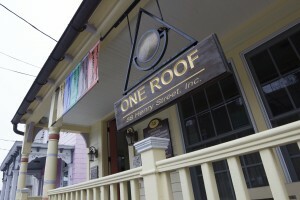 One Roof is a collaborative of specialized and skilled holistic practitioners. We work together to offer therapies that complement each other and the traditional healthcare system. Our clients are referred by physicians, hospitals, friends and family members. Clients come to One Roof because they know we take the time to listen and address their concerns with compassion, respect and expertise. What does it mean to be holistic? Holistic Healthcare focuses on the whole person, not just the presenting symptoms. Holistic Health encompasses our physical, mental, emotional, attentional, and spiritual well-being. What kinds of holistic therapies do we offer? One Roof offers acupuncture, psychotherapy, reiki, massage and more. Our practitioners work with individuals, families and children. We also offer a broad range of classes and workshops. One Roof is beautiful. So often clients walk in and immediately tell us our space feels special, peaceful and welcoming. We offer individual treatments in unique and private treatment rooms at our Henry Street location, and we boast a gorgeous studio space at our One Big Roof location, where we hold yoga classes, workshops, meditation groups, as well as the Saratoga Stress Reduction Program.